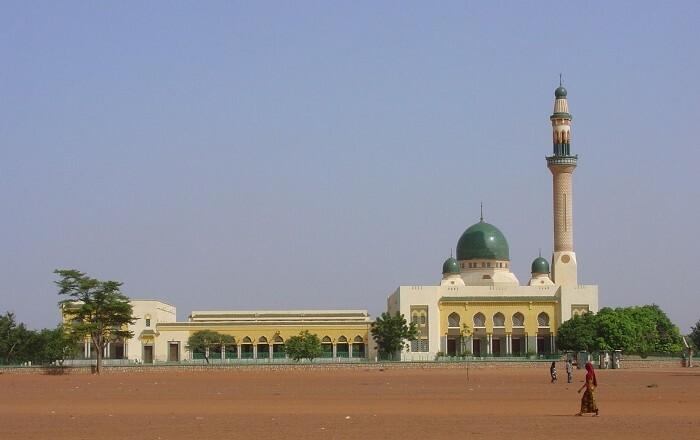 Grand Mosque of Niamey is an Islamic mosque located in the capital city Niamey of the Republic of Niger. 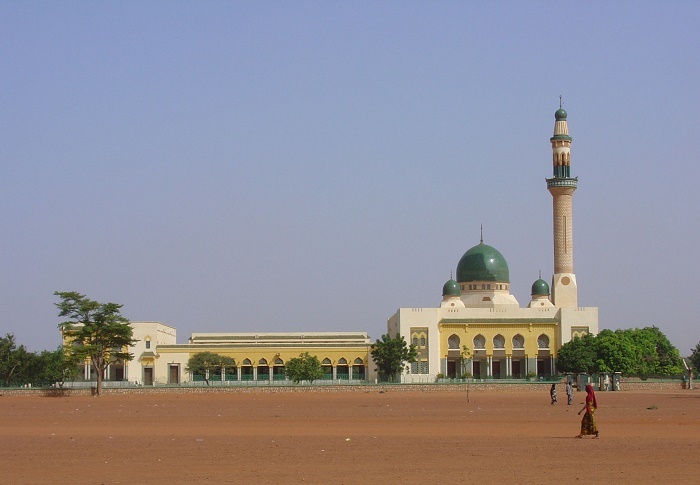 It is the largest mosque in the city, which is located along the Islam Avenue and it is one of the most important city landmarks. 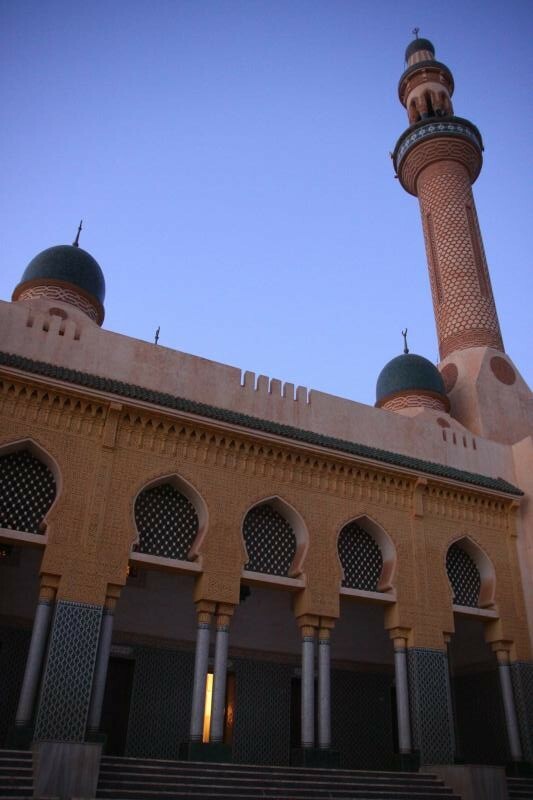 The mosque has been built in the 1970s with complete funding of the Libyan governemnt and with the full support of the late Libyan leader Gadaffi. 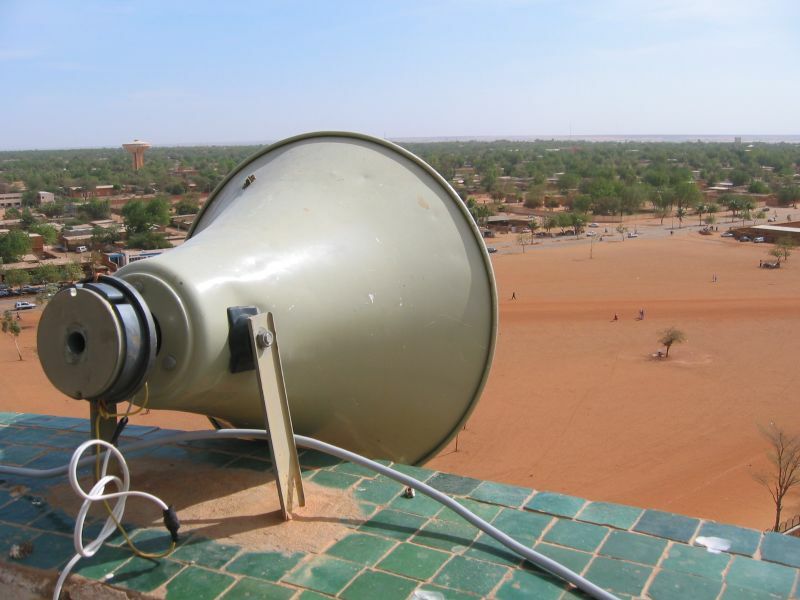 He has built the most impressive, and the most dignified sturcture that there is in the capital Niamey. 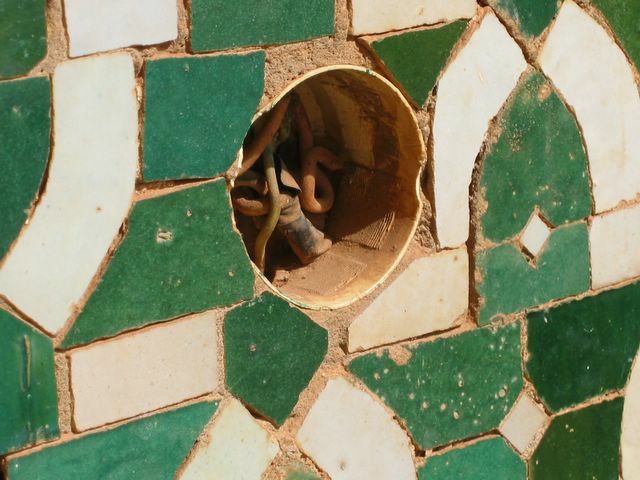 It is a beaming adobe with a prism of latticed archways capped with a brilliant green dome, glittering and unscathed after decades under the Sahelian sunlight and dust. 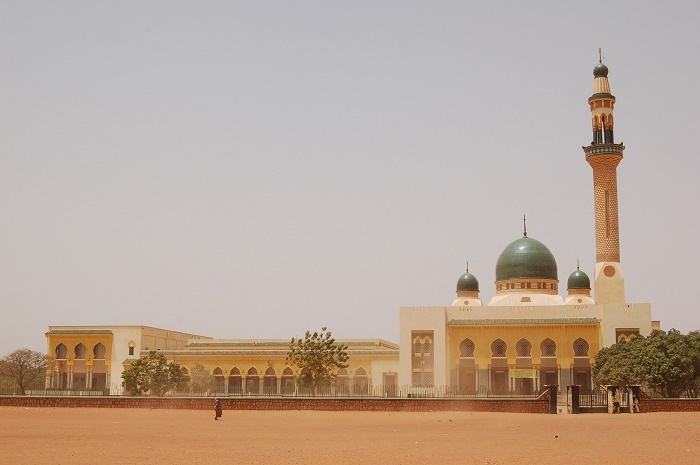 As it dominates a vast open expanse, it is one of the very few important buildings that are not behind a high wall or a security cordon. 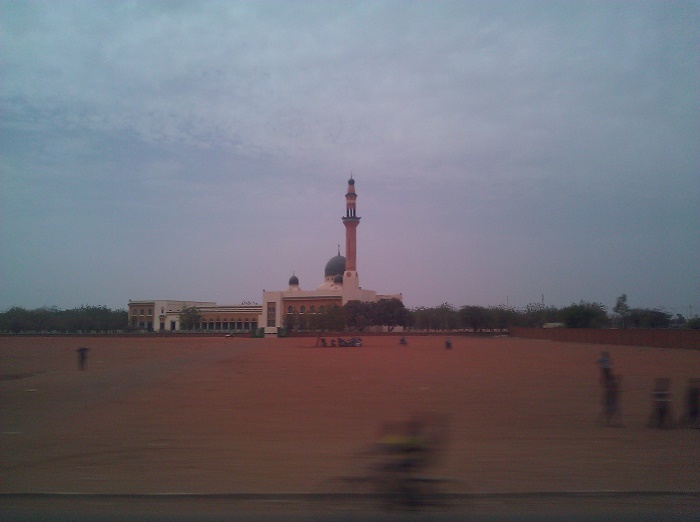 On Fridays it is the busiest ever, since the main prayer for the locals is happening then. 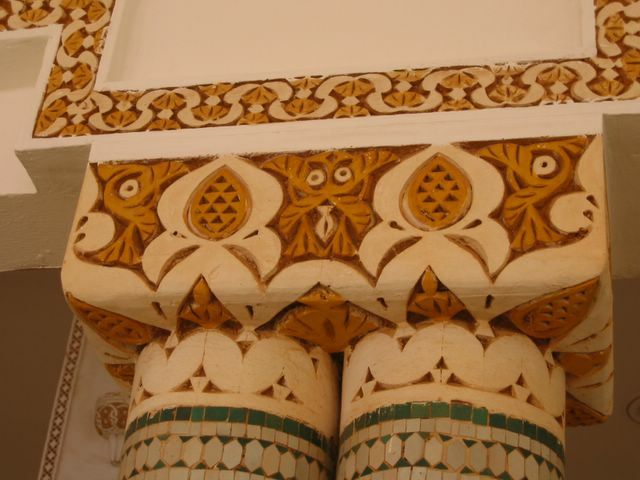 For other people, non-Muslims as well, it is allowed to go inside and take a look at it. There is a guide that should greet you, most of the time, and take you around for a small charge which is decided by you. 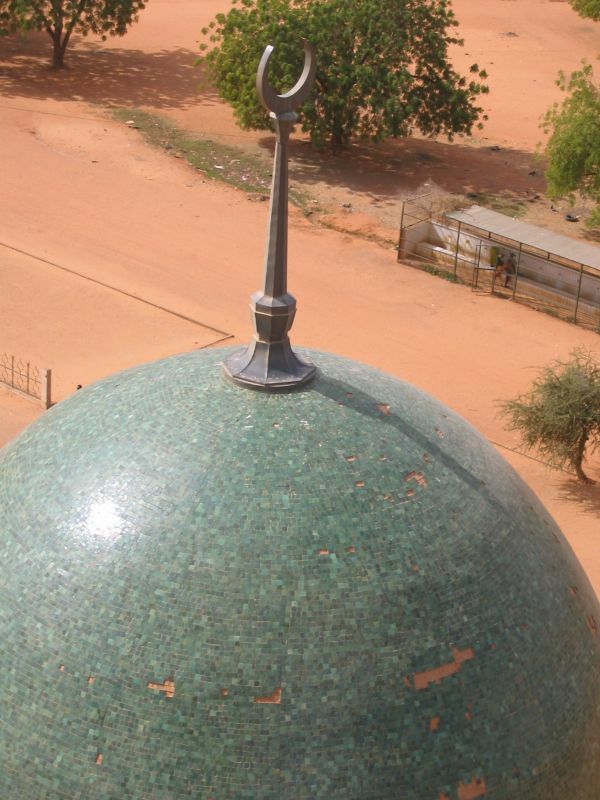 There is a minaret which can be accessed too with 171 steps, from where you can have a really nice overview of Niamey’s skyline. 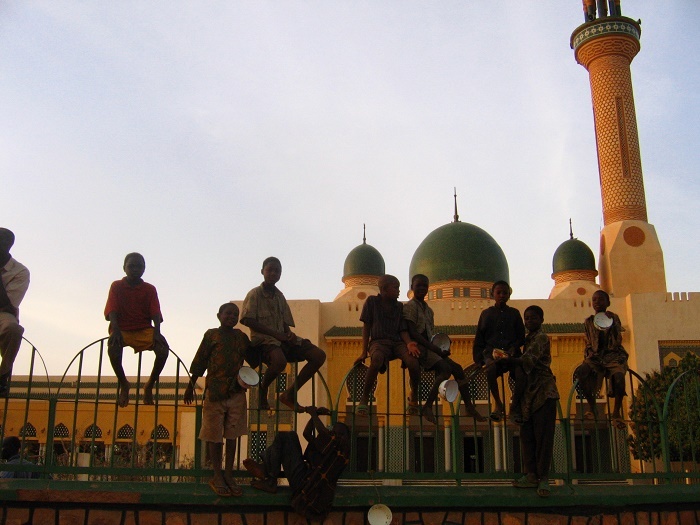 Like or dislike Gadaffi, this mosque definitely is one of the most interesting that could be seen throughout Africa.